Engraving is putting a design onto a hard, flat surface, by carving into it. The result may be a decorative piece in itself, as when silver, gold or steel are engraved, or may provide a printing plate of copper or another metal, for printing images on paper which are also called engravings. Engraving was an important method in history of making images on paper, both in artistic ways, such as making a decorative print, and also for printing books and magazines. It has long been replaced by photography in its commercial uses and, is nowadays much less common in printmaking, where it has been almost completely replaced by etching and other techniques. Engravers use a steel tool called a burin to cut the picture or pattern into the surface, mostly a copper plate. Gravers come in a variety of shapes and sizes that give different line types when used. The burin gives us a line that is unique because of its steady appearance and smooth edges. The angle tint tool has a slightly curved tip that is commonly used in printmaking. Florentine liners are flat-bottomed tools with multiple lines on them, used to do work on larger areas. Flat gravers are used for doing work on letters, as well as most musical instrument engraving work. Round gravers are commonly used on silver as well as other hard-to-cut metals such as nickel and steel. In ancient history, the only engraving that could be made were the shallow grooves found in some jewellery after 1000 B.C. In the European Middle Ages goldsmiths used engraving to decorate metal. It is thought that they began to print impressions of their designs to record them. From this grew the engraving of copper printing plates to make artistic images on paper in Germany in the 1430s. The first and greatest period of engraving was from about 1470 to 1530, with such masters as Martin Schongauer, Albrecht Dürer, and Lucas van Leiden. Thereafter engraving tended to lose popularity to etching, which was a much easier technique for an artist to learn. By the nineteenth century, most engraving was for commercial picture-making. Before the invention of photography, engraving was used to reproduce other forms of art, for example paintings. Engravings continued to be common in newspapers and many books into the early 20th century, because they were cheap to use in printing. When two sets of parallel line hatchings crossed each other for higher density, the pattern was known as cross-hatching. Claude Mellan is well known for his technique of using lines of different thicknesses. One example is his Sudarium of Saint Veronica, an engraving of the face of Jesus from a single spiralling line that starts at the tip Jesus's nose (pictured). Because of the high level of detail that can be done by a master engraver, faking engraved designs is almost impossible, and modern banknotes are almost always engraved, as are plates for printing money, checks, bonds and other papers that should not be faked. Engraving is so fine that a normal printer can not make the detail of hand engraved images properly. In the U.S. Bureau of Engraving and Printing, more than one engraver will work on the same printing plate, making it nearly impossible for any person to duplicate all the engraving on almost any banknote or document. Many classic postage stamps were engraved, although the practice is now mostly confined to particular countries, or used when a more "elegant" design is desired and a limited amount of different colours is acceptable. Engraving machines such as the K500 or K6 by Hell Gravure Systems use a diamond "pen" to cut cells. Each cell creates one printing dot later in the process. A K6 can have up to 18 engraving heads each cutting 8,000 cells per second to an accuracy of 0.1 µm and below. They are of course fully computer controlled and the whole process of cylinder making is fully automatic. The engraving process with diamonds is state of the art since the 1960s. Now, laser engraving machines are being made and even today the mechanical cutting has proven its strength in economical terms and quality. More than 4,000 engravers make about 8 million printing cylinders worldwide per year. The earliest allusion to engraving in the Bible may be the reference to Judah’s seal ring. (Genesis 38:18), followed by (Exodus 39.30). Engraving was commonly done with pointed tools of iron or even with diamond points. (Jeremiah 17:1). Each of the two onyx stones on the shoulder pieces of the high priest’s ephod was engraved with the names of six different tribes of Israel, and each of the 12 precious stones that adorned his breastpiece was engraved with the name of one of the tribes. The holy sign of dedication, the shining gold plate on the high priest’s turban, was engraved with the words: “Holiness belongs to Jehovah.” Bezalel, along with Oholiab, was qualified to do this specialized engraving work as well as to train others.—Ex 35:30-35; 28:9-12; 39:6-14, 30. A. M. Hind (1923, repr. 1963). 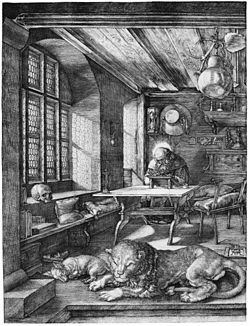 History of Engraving and Etching. Dover. This page was last changed on 18 October 2014, at 02:59.